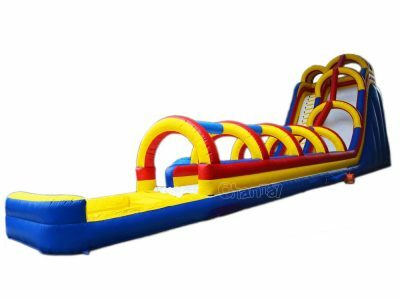 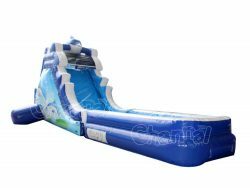 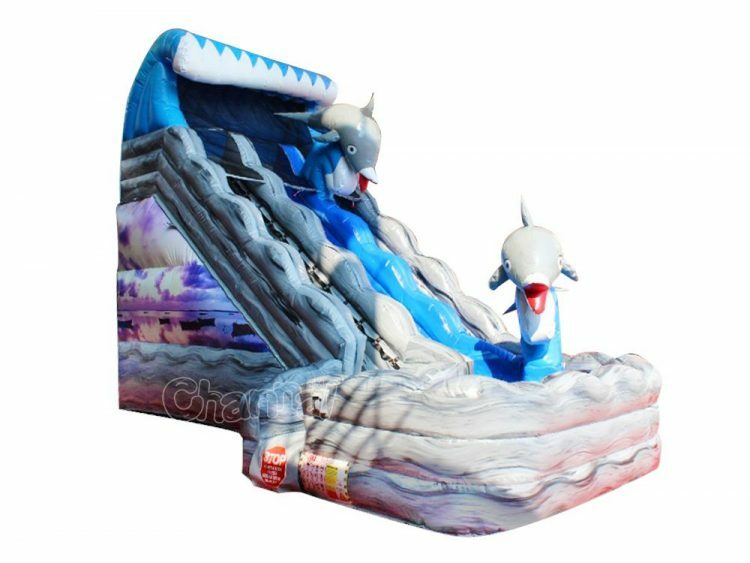 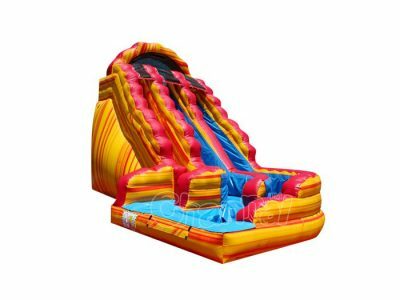 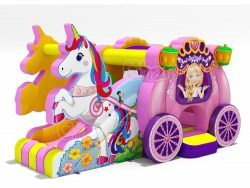 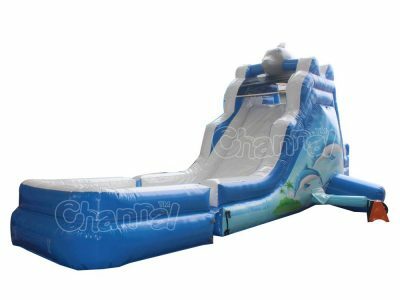 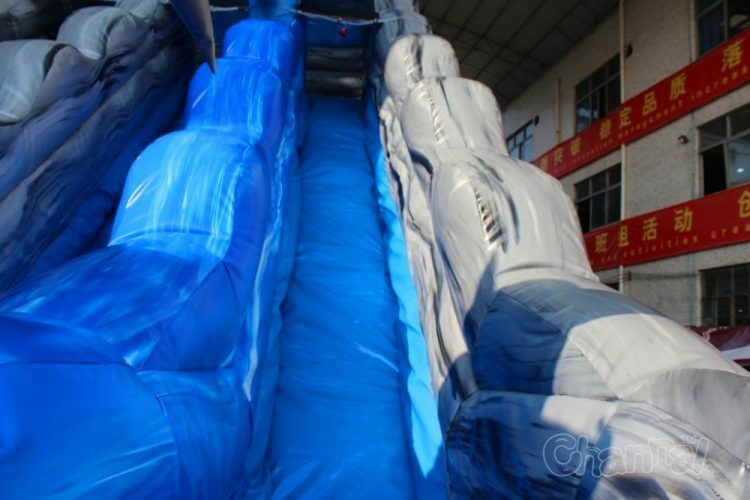 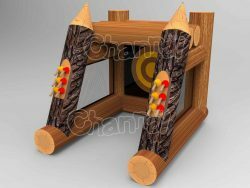 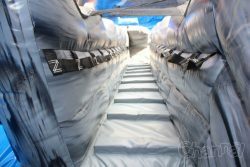 Check out our sea waves theme inflatable water slide for kids to play in hot summer, a great way to be a pastime toy. 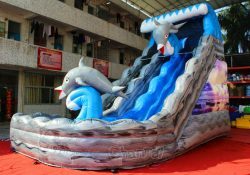 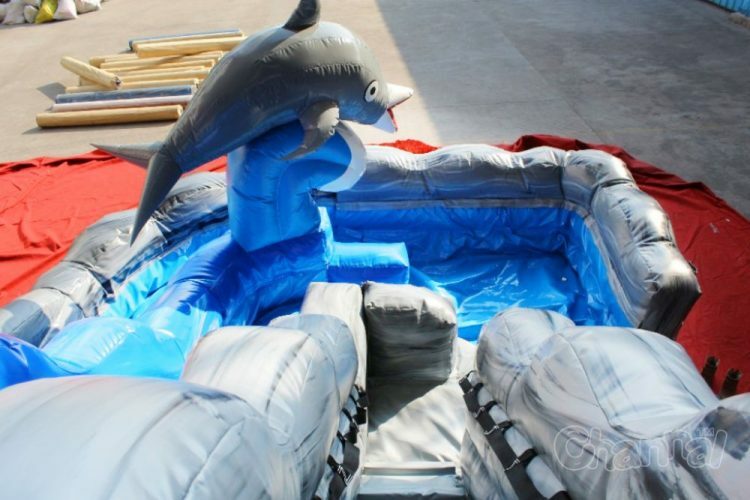 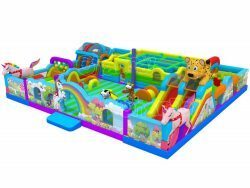 This unit features two slippery water slide lanes, a small wading pool at bottom and two inflatable dolphin/penguin models. Yes, we have two styles of this wet slide, one is dolphin theme, the other is penguin theme.